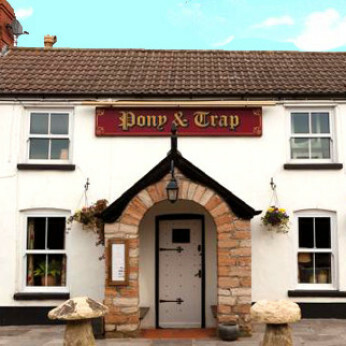 The Pony & Trap is the result of huge passion both in the kitchen and in the pub itself. Josh and Holly lead a talented team of chefs, wine experts and waiting staff, serving up food and drinks from the very best growers and producers in the region. Josh and Holly Eggleton' took over this 200 year old country pub in 2006, lovingly restoring its original features and bringing in a fine dining ethos while still maintaining its tribe of locals that create its relaxed atmosphere. Situated between the cities of Bristol and Bath, guests can enjoy unrivalled views of the Chew Valley from the restaurant or take a seat in the garden and oversee progress on the new fruit orchard being planted in the nearby field. The menu is varied and changes daily but the emphasis is on simplicity, with all our fresh ingredients coming from just across the Valley and our team know the provenance of everything on the menu... feel free to ask them about anything you’re curious about. The farmland around The Pony & Trap is an extension of our kitchens, with our supplier partners applying the same ethos, drive and attention to detail as our team does in cooking and serving it up. With an established reputation for quality, The Pony & Trap has held a Michelin Star rating in the Michelin Guide of Great Britain and Ireland since 2011. Holly Eggleton recently won the coveted Front of House of the Year at the Publican Morning Advertiser's Top 50 UK Gastropubs Awards 2014, while Josh picked up Chef of the Year. We are delighted to announce that we have been voted as one of the top 50 gastropubs in the UK in the Estrella Damm Awards 2018!